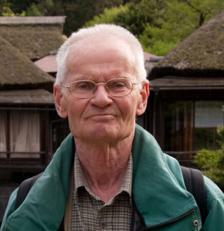 I have been professor in Quaternary Geology at Lund University from 1971 to 2000. I replaced Tage Nilsson who established this department and organized teaching, examination and research in Quaternary Geology from 1949 onwards. We celebrated the 50 year anniversary of our department in 2000. At the same time I was replaced by Svante Björck as professor and head of the department. As emeritus I have more time for my own research interests: Baltic Sea history, vegetation history, cultural landscape history, palaeoenvironmental reconstructions. For solving some research problems it is natural and stimulating to collaborate with colleagues from other disciplines, like archaeology, history, human geography, plant ecology etc. I have also an interest in the research history of Quaternary science. Besides publishing results in international journals I have been trying to reach a wider audience by writing papers in Swedish, in the National Atlas of Sweden, in text-books, in nature conservancy books etc. I have commitments for the Royal Swedish Academy of Sciences in Stockholm and for other scientific societies. Restoration of traditional cultural landscapes in my home province Blekinge makes me busy in the summer time as well. My hobby is nature and culture history of archipelagos, particularly in Blekinge, SE Sweden.